When I first learned programming, I had it easy – one screen, no drag-n-drop UI, no properties. For a starting tool, the App Inventor landscape is feature rich, which can be intimidating for someone just starting out. Designer vs Blocks… the various groupings on each of those screens… if I wasn’t familiar with IDEs in general, I may find this to be a complicated setup. However, at the same time, drag-n-drop development is a bit simplistic. No need to remember when to use curly braces or square brackets. Code blocks are different. And what’s even nicer with App Inventor is that you can create an app that responds to an accelerometer shake with a few drags of code. Something else that’s nice is that the App Inventor tutorials are well laid out, making it easy to understand what’s going on. When I first saw the Blocks interface with the puzzle pieces layout, I liked that I could talk to them as pieces of a puzzle. This also reminded me of Scratch, as I am aware of Scratch and how it is used to get kids into programming. And deep down, it reminded me of the topic of my first solo speaking engagement – Squeak! Now that the high school engagement is over, I want to play more with App Inventor. Why? Because I’d love to expose more people to coding and want to know more about this tool and use it when appropriate. 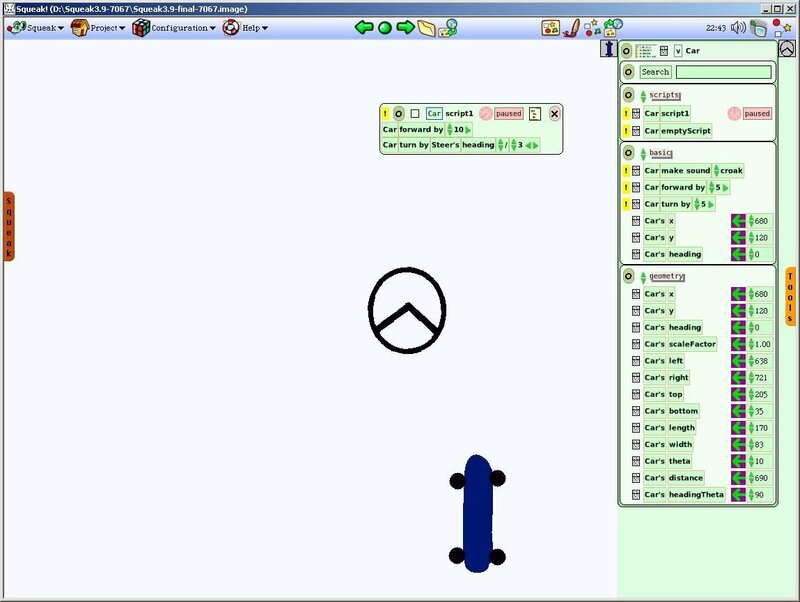 Will I recreate the Car N Steer demo that I presented in 1999 when I talked about Squeak at the Toledo Area Linux Users Group? Will I write more apps that work with various sensors in my Android phone? What will I create next? Stay tuned, as I suspect another app will happen soon enough.